These modern pocketless business trousers combine sophistication and style for that superior office outfit look. These trousers have a classic check design throughout with a hint of colour to brighten you up and a beautiful suede strip down the side of each leg. 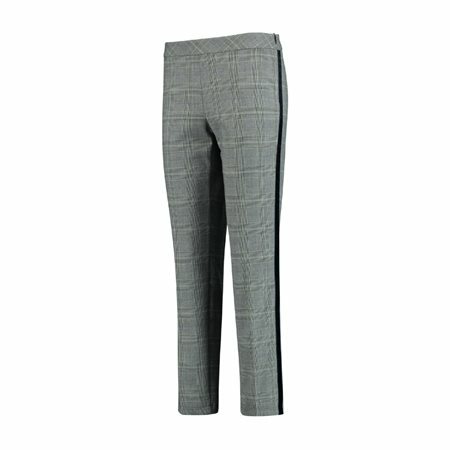 With a subtle zip closure to the side try tucking your top into these trousers and finish with a smart blazer or jacket.